i have read this book so many times. when ever i'm in danger of reading a bad book, i return to this to 'renew' my faith in good books!! amazing.The characters are great. william dark is the best vampire. he doesnt seem to have as much of a conscience that other vamp hero's seem to have. at first he's worried that he will damage her soul, but then decides he rerally doesn't care. 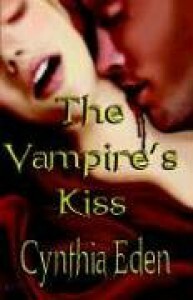 A fresh change to the vampire myth..